Priyanka Chopra and Nick Jonas are not just the IT couple of Bollywood but they are also loved by many abroad. 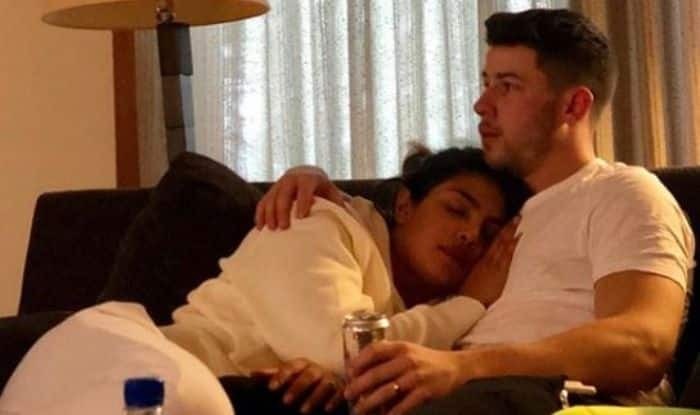 Priyanka who has spoken about having babies earlier has once again opened up on the same and revealed that she and Nick definitely want kids and that it will happen when the time is right. Recently during a media interaction at the grand premiere of her film Isn’t It Romantic, PeeCee said, “We both know that that’s something that needs to happen, but it’s not something I think about very much. We’re both very driven, we love our work, we’re married to our work, and we’re both very supportive of each other’s work. So I’m sure it will happen in an organic way.” Priyanka added, “We definitely want kids, and when the time is right, it will happen”. Priyanka and Nick were earlier spotted at the grand premiere of her upcoming Hollywood film Isn’t It Romantic. Not only did they walk hand-in-hand, but they also shared a kiss before the lady posed with Rebel Wilson. Priyanka donned a pink and golden off-shoulder gown. With smokey eyes, pink lips and open wavy hair, Priyanka looked stunning as always. Priyanka and Nick tied the knot at Jodhpur’s Umaid Bhawan Palace on December 1 and 2 last year. Post that, they celebrated New Year with their families and then went on their honeymoon. This is known to all that both of them are always occupied with work and thus, it is hard for them to take out time for each other. While talking to Vogue India, she said, “You have to accommodate and make time for each other, I think that’s really important”.